Add a new look to your bathroom with one of our frameless shower door enclosures. Are you looking for experienced glass services? Here at Superior Glass we have the experience and knowledge for all of your glass needs. Take a look at some of the products and services we offer. 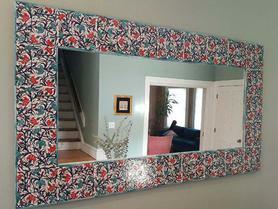 Whether you need mirrors in your home or business we have the experienced staff to design your perfect reflection. Custom tabletops. From simple to extreme. There's no job to hard. When it comes to your business we have you covered. 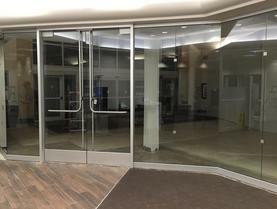 Whether its a simple window or door glass replacement or a completely new storefront. Here at Superior Glass we are happy to help you through the prooess. We have all the products for any of your door needs. Whether you need aluminum, steel or all glass doors. Or maybe you just need some new door hardware. Custom made stainless steel handrails or All glass Railings. We also offer many other products and services. Custom shower doors in a variety of styles. Framed Shower doors and sliding doors. Semi-frameless Shower doors and sliding doors. As well as our most elegant Fully frameless Shower doors and sliding doors. Thermopane and window glass replacement. We offer the fastest Thermopane replacement in the area. Screen door and window replacement. Aluminum products.